During the Alaskan gold rush in the 1860s, Haida artists, already familiar with metallurgy, melted coins to make jewelry. 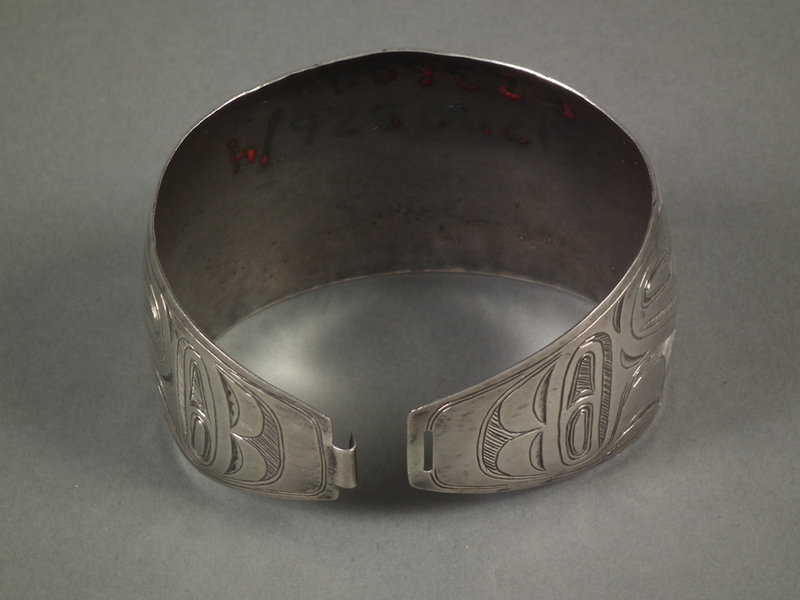 Family crests indicating beauty and status were engraved onto hammered silver bracelets with a clasp such as this, and were given away at potlatch ceremonies as items of prestige. 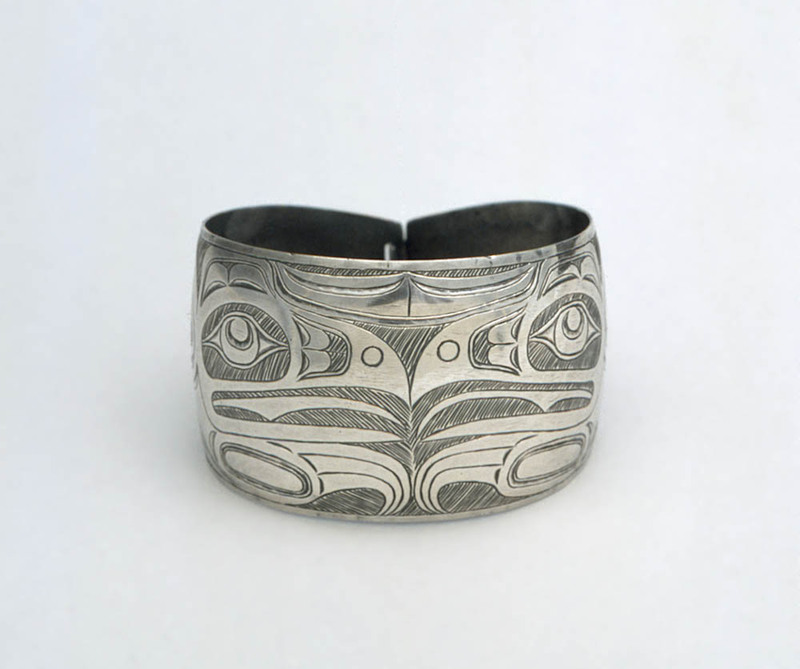 By the 1880s, Haida silverwork was sold to outsiders as highly coveted souvenirs and artforms.